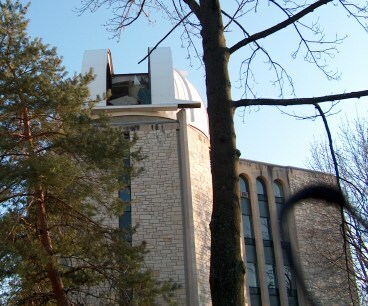 Public outreach: public observing on the first Friday of every month and on special occasions, offered through Ritter Planetarium and Brooks Observatory. Our introductory poster, located in the 5th floor lobby, is reproduced here (PDF, 128 KB). For the full-sized version (PDF, 6.8 MB), click here. 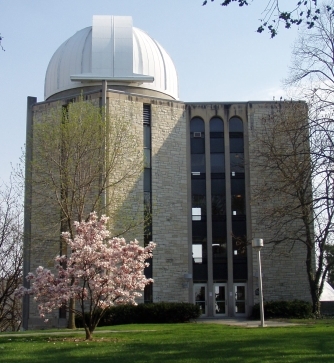 News: On July 29, 2008, Ritter Observatory was the subject of a full-length article in the science pages of the Columbus Dispatch. At the end of December 2006, we received our new Spectral Instruments 600 Series camera, with a 4K X 4K CCD (at right). This camera is now installed and fully operational on the échelle spectrograph. A colorized version of a spectrum of Deneb obtained with the new camera can be viewed here. Usage: the telescope is used on essentially every spectroscopically usable night by a team that, as of this writing, consists of a graduate student, a postdoc, an undergraduate, a faculty member, and several undergraduate and graduate student trainees. 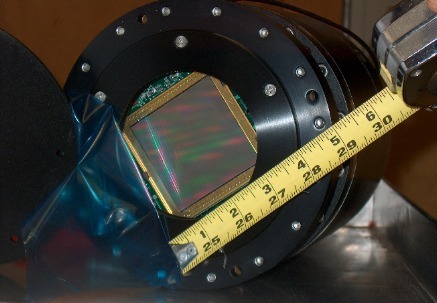 Operational status as of June 8, 2010: An 850 Series CCD camera with a 2k X 512 CCD for the Low-Dispersion Spectrograph from Spectral Instruments (Tucson, AZ) hasa been purchased with the last remaining funds from our NSF-PREST grant, which expired on August 31, 2009. The new camera has a water-assisted thermoelectric cooling system. Preliminary testing is complete, the camera is in full operation, and requests for service observations are welcome. The échelle spectrograph continues in good operational status. Document custodian: Nancy Morrison, who retired as director effective June 1, 2010.